East Coast surfing is not for the faint of heart and variable weather is the name of the game at Long Beach. While the winter brings freezing water, snow storms, and bone-chilling winds, there’s a more consistent, powerful surf. Local diehards brave arctic gusts and water temperatures that drop to the high 30’s. In the summer, air temperatures get up into the 80’s and 90’s with lots of humidity--wetsuits are still recommended, but the Gulf Stream tends to push warmer water into the area in late July and August, allowing for the brave to done boardshorts without risking hypothermia. Long Beach is one of the most consistent breaks on the East Coast.  It also happens to be one of the closest spots to Fair Harbor office headquarters in Brooklyn, NY, so odds are good that you will catch us out for an early morning surf before work if the break is right! Long Beach is heavily influenced by the local topography--particularly the Hudson Shelf and the Hudson Canyon. Long Beach conditions are best at low tide with Swell from the South, Southeast, or East-Southeast with a Northern Wind. Long Beach is the busiest in the summer, as vacationers and beach-goers crowd the sand and line-up. Surf is historically the best in September, which is the peak of Atlantic hurricane season. Warmer ocean temperatures and more favorable atmospheric conditions throughout the tropics bring large south to southeast swells from hurricanes that track north along the East Coast from the Caribbean basin. Wave height varies from mushy, knee-high break to a hollow, overhead break and bigger during peak hurricane season. Check out the online forecast, find a good day (make sure you check the wind!) and head over to Long Beach--parking is relatively easy to find and you can reward yourself with a delicious post-surf meal at the Beach House on West Beech Street.